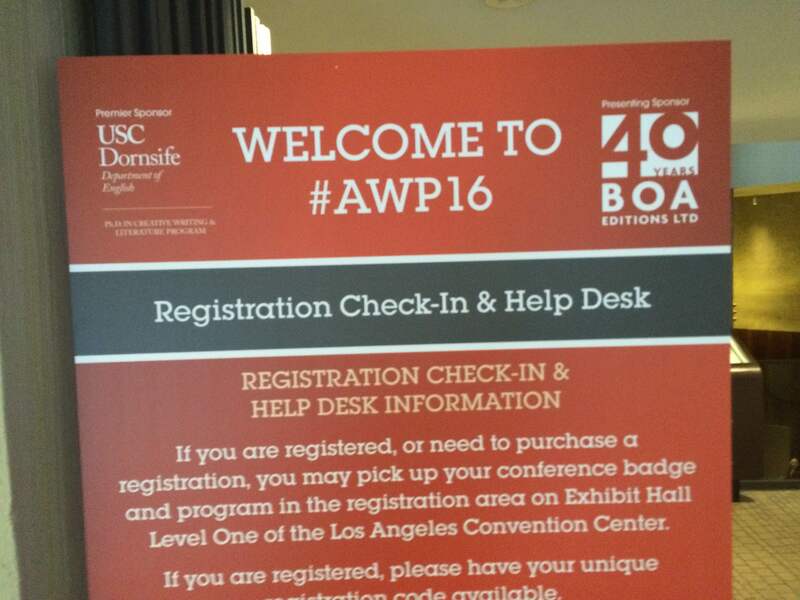 Thanks to all my fellow panelists and to all my fellow AWP-goers! It’s already been such a blast. Come by and check out the panels. BOA Editions, one of the major sponsors of this year’s ‪#‎AWP16‬! Happy 40th, BOA! See you all at AWP 2016: BOA 40th Anniversary Panel & Party! Proud as holy heck to see my beloved publisher, BOA Editions, as one of the major sponsors of this year’s ‪#‎AWP16‬! See you all at AWP 2016: BOA 40th Anniversary Panel & Party! 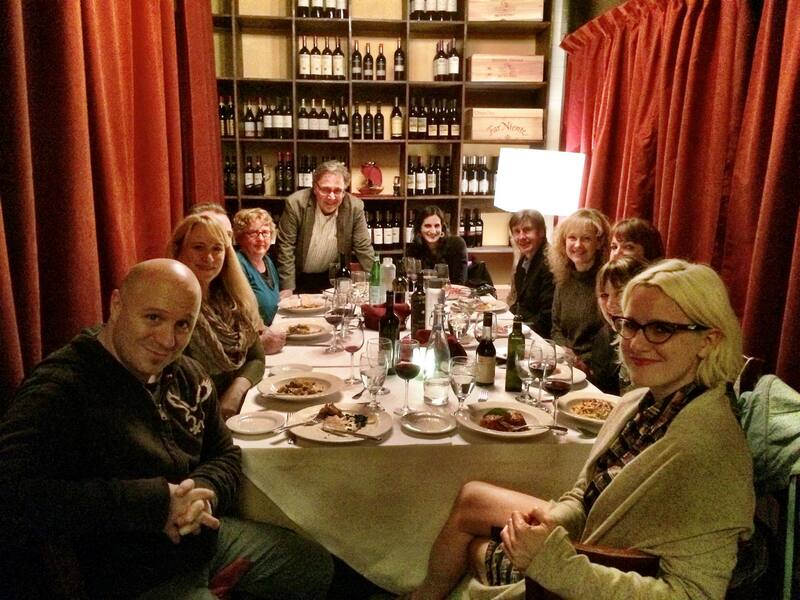 Thanks to John Domini for organizing a wonderful dinner last night in Los Angeles to kick off AWP 2016. Got to see and meet friends Naomi Ulsted, Tony Ardizzone Jesse Lee Kercheval, Olivia Kate Cerrone, Joe Amato, Lyz Lenz and Michele Filgate. A wonderful evening. December-January double issue of The Brooklyn Rail is here! Well, it took some work, but the December-January double issue of The Brooklyn Raill is finally here. It’s our biggest issue of the year, and our Books section is chock-full of literary goodies. We’re excited to introduce a new feature for both readers and writers interested in knowing more about how authors do what they do on the page: a roundup of recent books on the craft of writing. Electric Literature’s Catherine LaSota covers five recent titles by MARY KARR, CHRISTOPHER CASTELLANI, PETER TURCHI, JOHN CASEY, and DINTY MOORE. Huge thanks to Katie Rolnick, Laila Pedro, Susan Shapiro, Nancy Hightower for all the help and support. 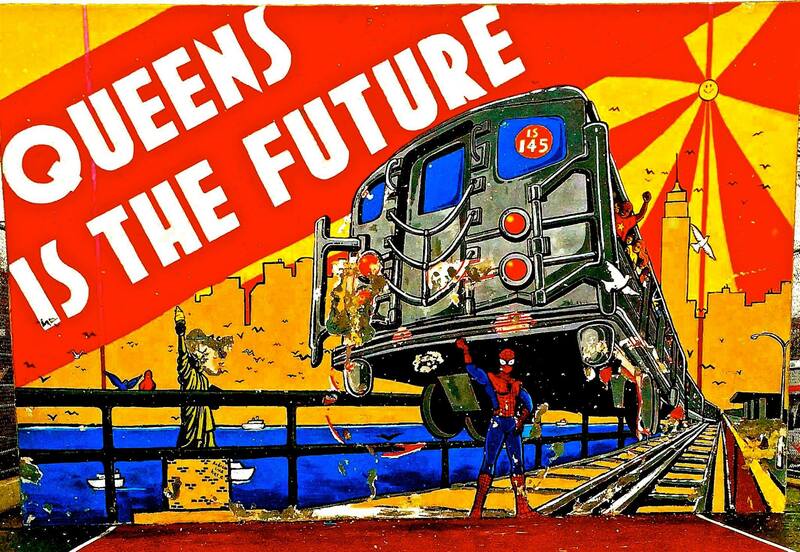 Thursday, Oct. 22nd, 2015, 8 PM — Helping launch new Brooklyn reading series! Join us this Thursday, Oct. 22nd, 8 PM, Brooklyn, for the launch of HIP Lit’s new monthly salon series happening in “The Hideaway,” the lofted literary love-nest upstairs at Be Electric Studios in Brooklyn. Come check out this new space and reading series. I’ll be reading alongside Matthew Vollmer Carmiel Banasky, and Nancy Hightower, all of whom have new books out, which will be for sale on Thursday. 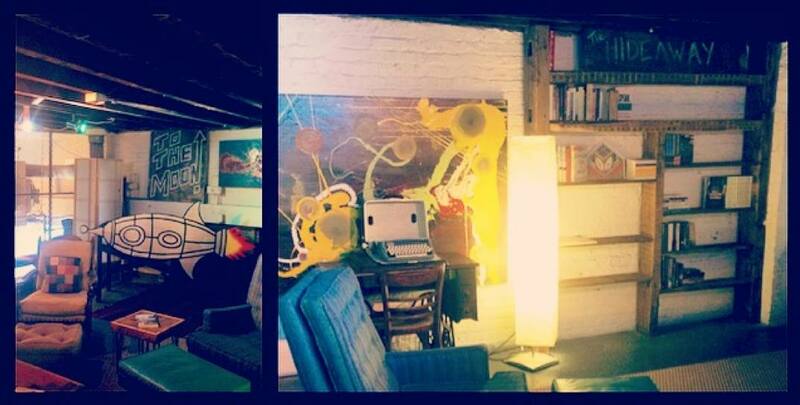 Please join us in initiating this space with an evening of readings, good company, and a whole lotta lofted love. Free Admission. BYOB. HUGE thanks to Brittney Inman Canty, Erin Harris, and Kim Perel. To kick off ‪#‎wordwednesday‬, I’m going to share my favorite Yogi-Berra-ism that Yogi Berra never ism-ed. Rather, it was said by an old Italian guy whom I worked with one summer when I was roofing my way through school and toward melanoma-ed shoulders who once said the following to me when I came back from doing the lunch run with the wrong sandwich: “Hey, kid, that just goes to show: You can lead a gift horse to water, but you can’t look in its mouth.” I think Mr. Berra would have approved. If there’s a heaven for those guys, I hope they’re being introduced to each other as I type these words. If anyone has any other Yogi-Berra-isms to share for #wordwednesday, whether uttered by Mr. Berra or not, please share the word wealth. Enroll in my grammar course at The New School in NYC, called Tools, Not Rules. Excited to be hosting this this Thursday evening. It’s a great treat for me both because my own story collection came out from an independent publisher, the incredible BOA Editions, and because I get to introduce and listen to a night of poetry from three great independent presses, Sarabande Books, Sibling Rivalry Press, and Saturnalia Books. With readings by Kathleen Ossip, David Tomas Martinez, Ralph Hamilton, and Debbie Kuan. 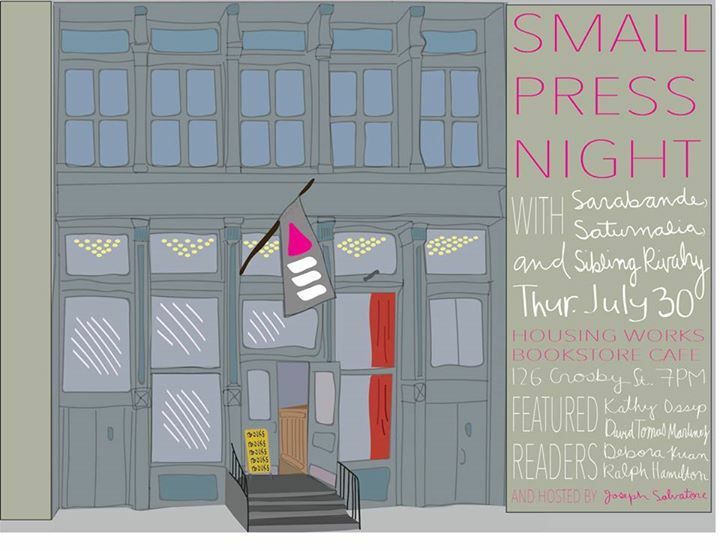 Join us in celebrating small presses in general and these independent publishers and authors in particular, this Thursday, 7 PM, at Housing Works, 126 Crosby St, NYC. Incredibly honored and excited to participate in the 2015 Writer’s Digest Annual Conference. I’ll be speaking on a panel titled “HOW, WHEN & WHY TO SWITCH WRITING GENRES,” to be moderated by the brilliant and amazing Susan Shapiro, featuring such talented writers, agents, and editors as Caroline Leavitt, Naomi Rosenblatt, Seth Kugal, Daniel Menaker, Ayesha Pande. 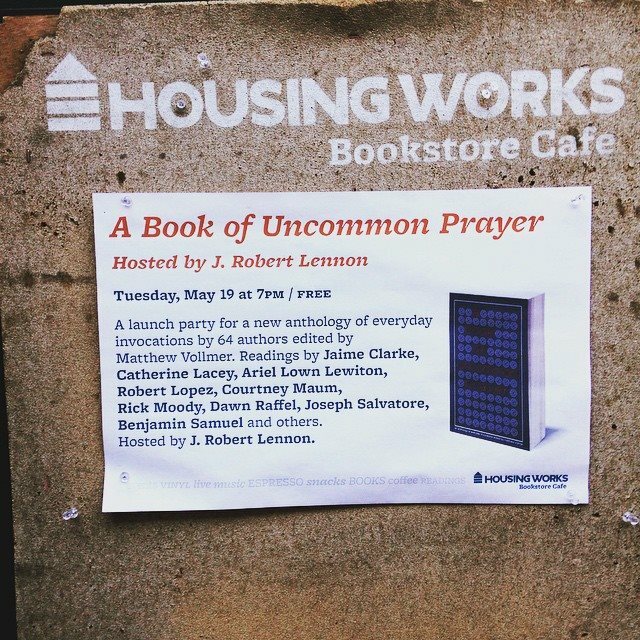 A real special night at the launch of “A Book of Uncommon Prayer.” It’s been a long time since I’ve been part of an event where so many excellent writers shared so much fine work from one single volume. Thanks to Matthew Vollmer for making that happen.